INSECT pests and diseases, the prime factors causing low agricultural productivity, are mostly controlled by chemical means. Indiscriminate use of pesticides is causing serious environmental hazards. This can be minimised by a variety of cultural and biological measures. A large amount of foreign exchange is consumed in the import of pesticides. Only during July-March, 2005-06, 17,900 and 36,000 tons of agricultural pesticides were imported. These chemicals are not only high-priced inputs but are also hazardous to the environment. These affect human health and biological diversity and leave persistent residues in soil, groundwater, and the food chain, thus exposing human population to slow and cumulative poisoning. Poor spraying techniques and over-use of chemicals has also led to the pest becoming resistant to most of the available insecticides. Integrated pest management (IPM) is the base of such a system which deals with the systematic and effective use of pesticides. 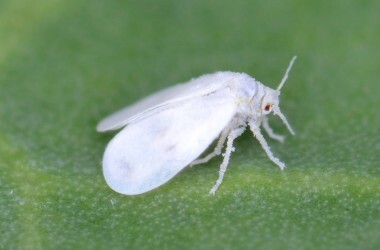 The IPM is the integration of all practical pest control methods in as compatible manner as possible to maintain pest populations below the economic threshold. The most beneficial and economically better control of all diseases and insect pests can be achieved through IPM as compared to any other single management practice, such as pesticide application. In any crop production system, IPM includes combining cultural practices like appropriate variety selection, land preparation, sowing dates, frequent field scouting, biological control through natural predators, parasites and pathogens; and selective and judicious use of insecticides to keep insect and mite populations below economically damaging levels. This pest management system is designed to keep inputs at a minimum level while maintaining or increasing production for maximum profit. In addition, many other methods to avoid insect pressure can be put in to practice. For example, the utilisation of insect repellents, light traps, eradication of weeds from the fields, spray of semi hot water (it also has been proved to be good for insect control especially in case of mealy bugs), spray of surf solution and spray of neem extract has been effective to limit various insect populations to curtail heavy production losses. Three to four years crop rotation with non-host crops. Resistance is the most effective and economical means of disease control. For some diseases, resistance is the only effective control. Therefore, available disease resistant varieties should be planted where possible. Efforts should be made to obtain disease-free seed for transplantation or these should be properly dressed with proper fungicides. Soil fumigation is expensive and potentially dangerous for inexperienced applicators, but increases yield, earliness, and controls soil- borne diseases. However, row fumigation may be economically feasible mostly for vegetables. Change in planting time is recommended to avoid diseases in various cases. For example, cultivation of early sowing and early maturing varieties are recommended for the control of rust in wheat. Excessive irrigation as well as shortage of irrigation favours spread and development of many diseases. Therefore, the crops should be irrigated properly. Proper and judicious use of fertilisers especially nitrogenous fertilisers should be carried out along with potassic fertiliser. 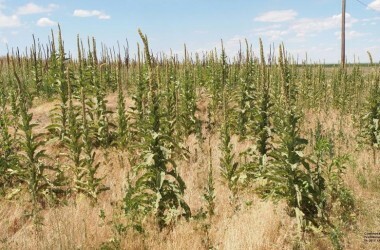 Mostly the weeds serve as alternate hosts or sources of infection for virus diseases. Therefore, effective weed control practices should be utilised in and around the crops. Insects are major source of transmission of viruses and bacterial diseases. Therefore, insects must be controlled when warranted in and around the crops. Scouting allows for early detection of all pests and diseases so that timely management practices can be implemented. Plantings should be scouted regularly (at least once per week), for assessment of the effectiveness of management programmes already implemented. Appropriate use of copper sprays is also useful in reducing foliar diseases caused by bacteria. The diseases are more difficult to control once established; hence timing of the first spray is critical. The first spray should be made before symptoms appear where diseases are anticipated or shortly after symptom appearance. Many of the pathogens survives in and on the plant debris or pruned parts of plants or trees, therefore these should be incorporated into the soil by ploughing or disking after harvest to hasten decomposition. The capacity of IDM strategies as an effective component of IPM system may give a hope to the growers for the benefit of themselves as well as for the nature. Their effectiveness in controlling specific diseases could be learnt through regular study and observation.